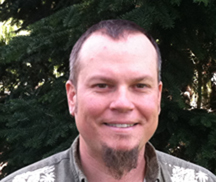 Kevin Ceder is an Ecosystems Analyst with Cramer Fish Sciences. Kevin has 10 years experience using quantitative methods to support data-driven, integrated resource management, planning and assessment. He excels in developing tools that reduce complex processes to easy-to-use and easy-to-understand systems for decision-makers. Kevin has over 10 years of experience using R as his primary data management and analysis tool and excels in providing R programming solutions. He has provided R training and coaching to a diverse clientele. With CFS, he is a lead environmental statistician, helping clients visualize the complex relationships between land management activities and the affected environment. Kevin's focus is on analysis and modeling of forest ecosystems to help stakeholders understand the influence management activities can have on terrestrial and aquatic habitat—and ultimately their influence on salmon and trout. He combines doctoral-level understanding of ecosystem processes with expert tool-building skills to lead the development of integrated mathematical simulation models. Kevin offers expertise in numerous areas—growth, development and management of forest stands; ecosystem data compilation and analysis; forest and population simulation model development and use; ecosystem assessment model development and use; spatial analysis and cartography; and software development to create integrated tools. Prior to joining Cramer, Kevin spent 15 years as a biometrician and was involved in many projects to evaluate the effects of forest growth and management on ecosystem outputs. Kevin provided simulations for numerous assessment projects in Washington and Oregon, evaluating everything from harvest volume and carbon sequestration to fire risk and wildlife habitat. Kevin received his B.S. and M.S. degrees in forest management and silviculture from the University of Washington where he is currently a doctoral candidate in forest biometrics. He has worked for several research cooperatives to develop mathematical simulation models addressing growth and yield of young managed forests, wildlife habitat management, and wildfire risk assessment.